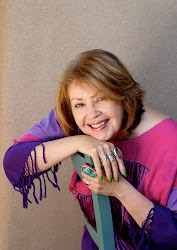 Pat's site is now on the Wordpress platform and so her blog has moved also. Please bookmark the new link: www.patmora.com/blog and pay us a visit there! I encourage all book lovers to share bookjoy/alegría en los libros by supporting Día: El día de los niños, El día de los libros/Children’s Day, Book Day in your community. Ask your local library or nearby school if they're planning an April Día celebration and offer to support their efforts by donating time or financial assistance. Visit the Día section on my website and join us. 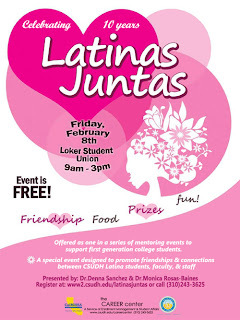 Register﻿ your Día celebration in the 2013 Program Registry. Feliz día del amor y la amistad, Happy Valentine's & Friendship Day! Photo by Devora Resnick. Creative Commons license. How proud I am of my niece, Dr. Monica Rosas-Baines, co-founder of Latinas Juntas/Latinas Together and creator of this video. Pat is looking forward to speaking at this special event. 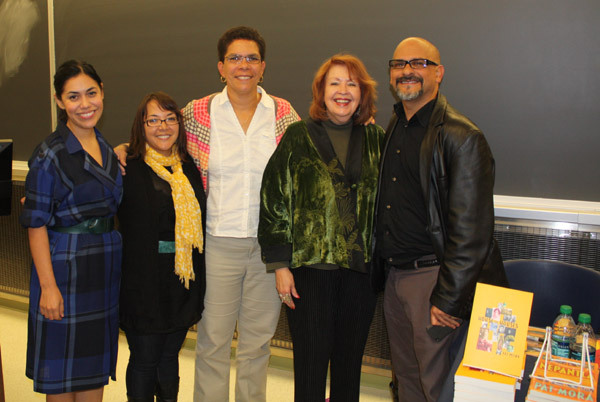 The day-long program, which strives to create a supportive community among Latina students, faculty and staff on the campus of CSU/Dominguez Hills, celebrates its 10th anniversary this year. 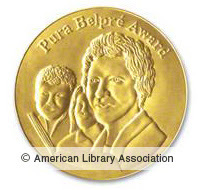 Congratulations to Benjamin Alire Sáenz, Sonia Manzano, and David Diaz for winning the Pura Belpré Awards and Honors and to all who received ALA Youth Media Awards. I happily attended the presentation of the Mora Award at the Noche de Cuentos event, sponsored by REFORMA, Saturday night, January 26, during ALA Midwinter conference. 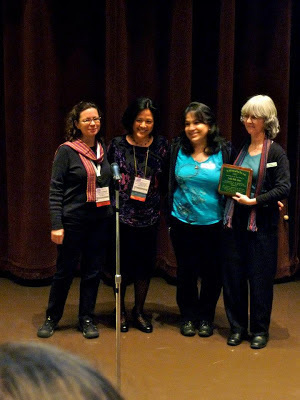 It was a grand, festive event and I was touched by the acceptance remarks by the winners, Tina Bixby and Amelia Martinez of the Lynden Public Library (WA). For the first time, Mora Honors were also given. The receipients were Mount Pleasant branch of the District of Columbia Public Library, King County Library System (WA) and the Sacramento Public Library (CA). 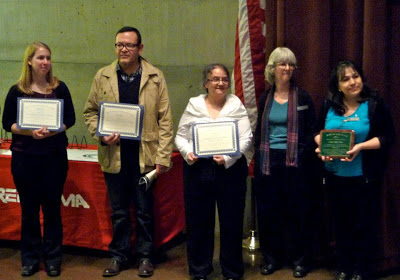 Unfortunately, my phone photos were poor quality but REFORMA (National Association to Promote Library & Information Services to Latinos and the Spanish Speaking) members posted a wonderful album on their Facebook page and I've included a few of those photos here. Read an interview with the Mora Award winners. Read comments by the Mora Award Honors. 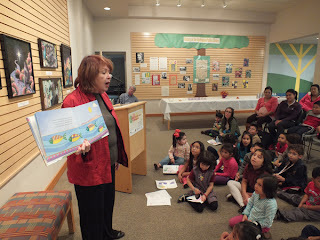 I was encouraged to write this four-book series of easy-read bilingual books by a friend in Texas who is not bilingual but who generously and creatively fosters literacy by putting bilingual books in the hands of children who need them. 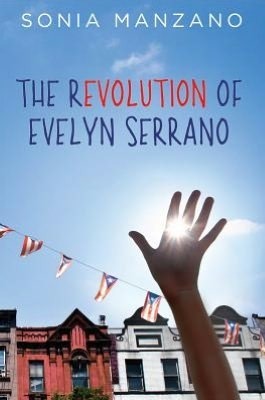 In this series, readers meet the Rosas family: Isabel, Tina, Danny, Mom, Dad, and Abuelita. They meet the familiy's dog, Tico, and the family's new kitty too. 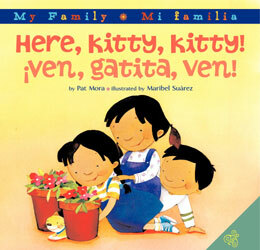 The books depict children's daily activities: a family meal, chasing a kitten, bedtime, and a boy's mischief. 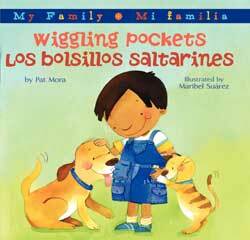 "How do you honestly feel about bilingual books?" I asked a group of teachers. A woman raised her hand and answered, "They intimidate me." I remain grateful for that teacher's candor. Others chimed in saying that they shared her reluctance to use such books. "I'm the teacher," one said. "I'm supposed to be the expert. 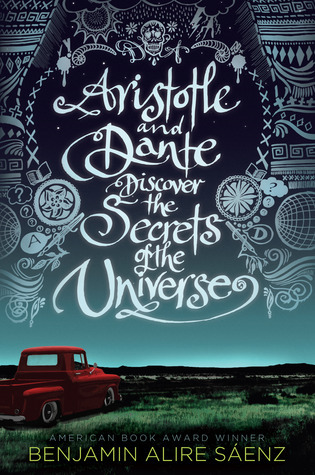 I wish I knew Spanish, but I can't read half the book." The group then discussed how our monolingual-Spanish students also can feel embarrassed and wish they spoke and could read and write English. Indeed, in our linguistically-rich country, it isn't only Spanish-speaking children and families who have those longings. 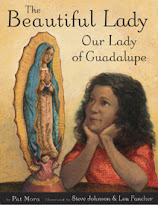 Since we believe that books are powerful and shape attitudes, we can affirm our Latino and Spanish-speaking students by incorporating bilingual books into our school and library collections and by using the books for read-alouds and activities. Since we teach by example, when we leave our linguistic comfort zone and risk beginning to explore and maybe even learn another language, we teach our students, whether monolingual or bilingual, to do likewise. Instead of avoiding bilingual books, we can partner with bilingual parents, older students or colleagues and illustrate the wonder and fun of languages through collaboration. We can also listen to and use audio books. Our students, all our diverse students, need brave teachers. How sad I feel when I hear educators state that their ideal students are white, European-American children. All student's need their teacher's attention and faith. Celebrate and creatively educate all of America's diverse and beautiful children. 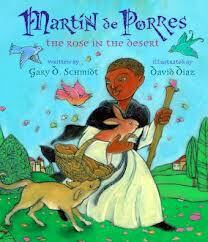 Remember my Texas friend who spreads bookjoy and puts bilingual books in the hands of children who need them? Join her. 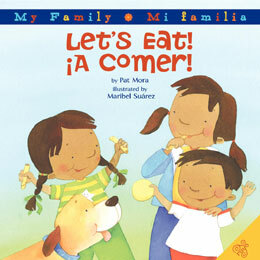 Want to Start a Día Family Book Club? The Association for Library Service to Children (ALSC) is now accepting applications for mini-grants intended to prepare libraries to incorporate Día into their existing programs throughout the entire year. 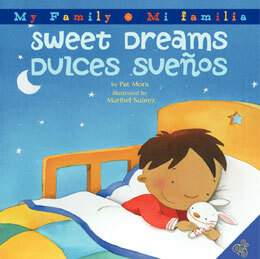 Mini-grants will be used to initiate a Día Family Book Club Program in libraries. Up to 12 mini-grants will be awarded at $5,000 each. Intended as an expansion of El día de los niños/El día de los libros (Día), the mini-grants will be awarded to libraries that demonstrate a need to better address the diverse backgrounds within their communities. The mini-grants are part of the Everyone Reads @ your library grant awarded to ALSC from the Dollar General Literacy Foundation. In addition to these mini-grants, funding from this grant will also allow ALSC to create a Día Family Book Club Toolkit that will be accessible to all. The deadline for receipt of applications is February 1st, 2013. See Pat's website for more information about Día. Día, El día de los niños,El día de los libros/Children’s Day,Book Day, is a daily commitment: day by day, día por día. 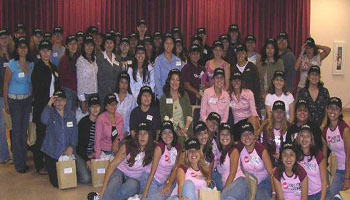 Hundreds of annual Día events occur across the country in April. 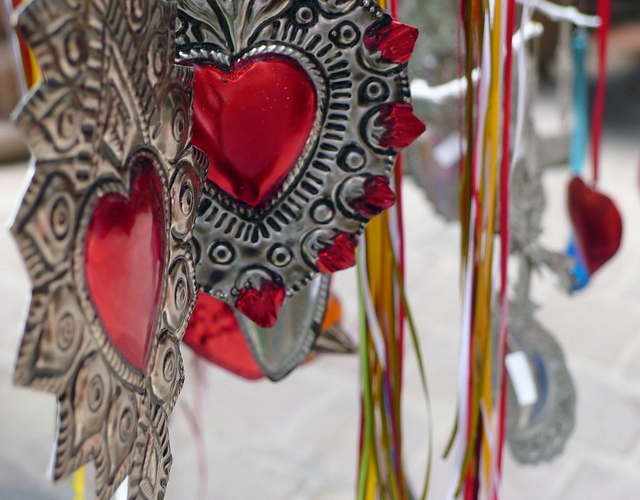 In the spirit of Día, these book fiestas are literacy celebrations that unite communities. Often reading advocates including parents and families collaborate in planning how best to share bookjoy. Join us by insuring that Día is celebrated at your libraries and schools and make sure to promote their local event(s) by registering your program in the 2013 National Día Program Registry. I'm so grateful to ALSC (Association of Library Service to Children) and REFORMA (National Association to Promote Library and Information Services to Latinos and the Spanish Speaking) for collaborating with me in expanding Día's impact. 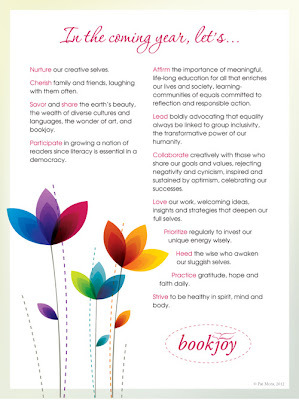 In 2013, let's share bookjoy and help grow a nation of readers. Last fall, I had the good fortune to spend time at the University of Illinois in Champaign/Urbana and at the University of Arkansas in Fayetteville. As always, I learn when I interact with audiences. Some of my favorite visits are like these two opportunities to speak to children, families and educators. One of my hosts was Dr. Luis Fernando Restrepo, author of the following article. His final sentence is so meaningful. 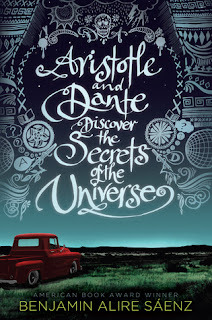 Bookjoy! I coined the word years ago and readers always smile when I say it. They know the private pleasure of settling down with a good book. I began this blog in spring 2008. Writing ZING! I thought about the creative process and how we are all creative, right? Since developing that part of ourselves enriches our lives and the lives of those around us, I decided to make creativity a major theme of this blog. Spring 2011, I started a Bookjoy Creativity Salon. Each month I'll write a post about my reading and writing, and I'll interview someone doing interesting creative work. I welcome your suggestions. "Talented educators who hone the gift of making connections, respectful of every student, have transformative powers."